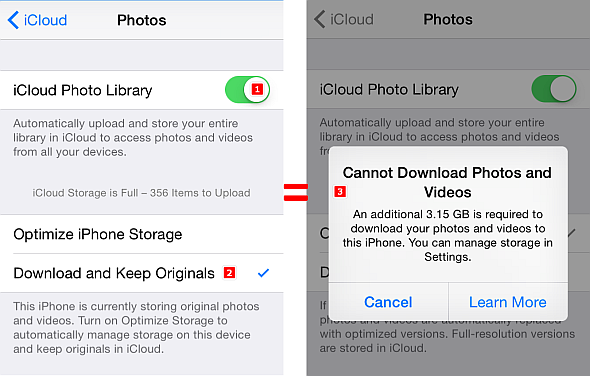 Many users are facing the problem while accessing their phots on iCloud. While accessing the iCloud library user are getting can't load the photo error and after that there are no photos. In your account and go on the main pictures folder you will find a Photos folder with nearly the same icon as the photos application and throw it in the trash. Turn on every item you had so that it will be the same. open the photos application and it will automatically ask you to create a new library. This way it helped me to fix the issue. Make sure you have set up setting to 'allow cellular connection'. and your connection should be quite fast. A slow connection can cause the error from iCloud. In some cases it can be issue with iCloud server. If the server is down you can check later and should work.